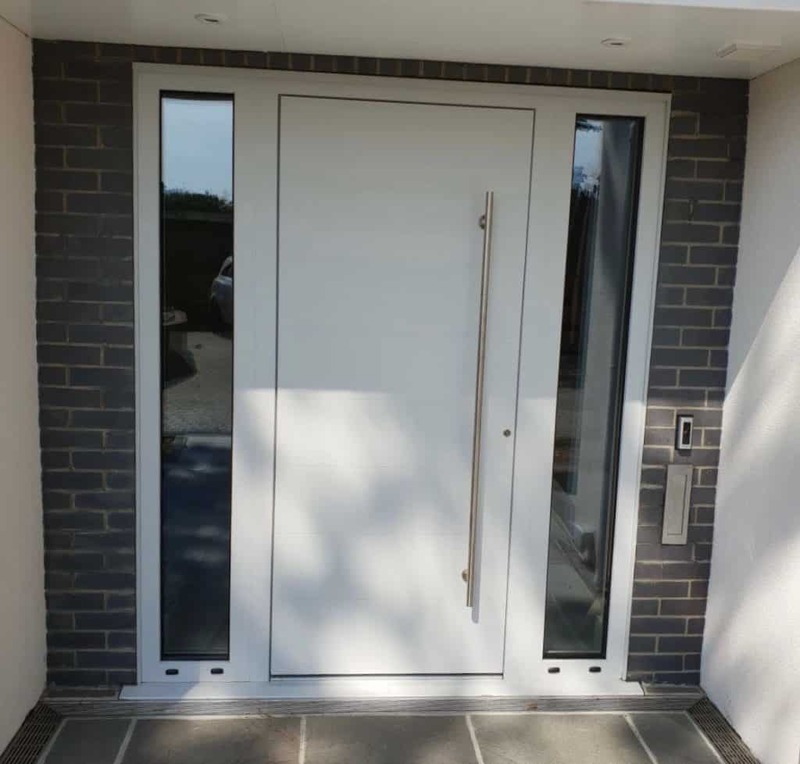 The latest contemporary front door from market-leading Dutem&amp;auml;nn supplied and fitted to a detached property in Ewell, Surrey. Dutemann front doors are our premium aluminium front doors. They give your home the very best in design, engineering, quality and security. These sophisticated front doors use the world-renowned Schuco system for the door frame and the door sash. Set within these top-of-the-line aluminium profiles is a thick, durable and highly insulated panel. Two pressed aluminium skins form the inside and outside faces with a solid insulated core, inner reinforcement and a durable finish. This particular door set is in the Haus Tur style, in a modern matt white finish and with matching side panels. The door has a full height offset pole handle, automatic, German-engineered lock and a weathered threshold. If you want to enhance your home with a latest-generation contemporary front door with outstanding quality and security, Dutemann doors are hard to beat.